The Environmentally Non-Disturbing Under-ice Robotic Antarctic Explorer (ENDURANCE) robot probe is scheduled for some tough tests in the next few weeks. The goal is to help NASA explore the underwater environment of Europa, one of Jupiter's moons. Science fiction fans have several reasons to delight in this research. In the movie 2010, probes explore the frozen surface of Europa and find strong indications of life. Take a look at the video below, showing the exploration of Europa by remotely operated surface probe. In his 2002 story Slow Life, Michael Swanwick creates a fascinating picture of the exploration of liquid environments on Titan. He introduces the idea of robofish. 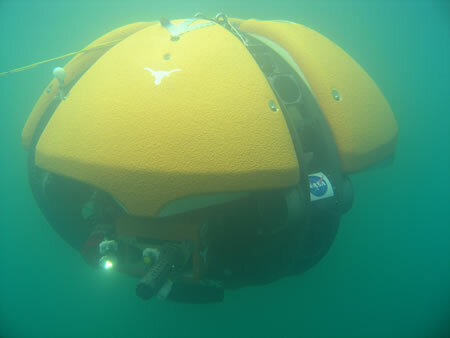 From NASA via Robot plumbs Wisconsin lake on way to Antarctica, jovian moon. Read more about the possibilities for liquid water on Europa.